The University Hospital Simmons Cancer Clinic located in the UT Southwestern Medical Center at Richardson/Plano offers high-quality, specialized cancer care and general hematology services from a multidisciplinary team of experts. 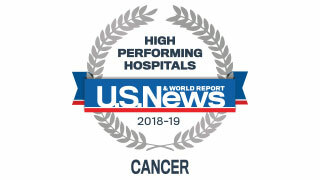 UT Southwestern’s cancer care earned High Performing recognition in U.S. News & World Report for 2018–19, placing us among the country’s leading cancer treatment facilities. 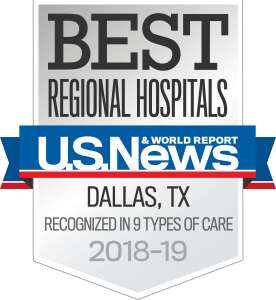 We’re dedicated to providing patients with the unmatched level of care for which UT Southwestern is known, in a welcoming and compassionate clinic conveniently located in the north Dallas suburbs. Patients with cancer or a blood-related disorder often require frequent, recurring treatment. At the same time, the disease itself can make travel difficult and tiring. That’s why we’re proud to offer expert oncology and hematology care for patients who live in the north Dallas suburbs, providing a convenient location for every phase of their care. Access to clinical trials at the Harold C. Simmons Comprehensive Cancer Center, with full oversight by the team at the Richardson/Plano clinic. "What I'm really excited about is being able to provide the North Dallas community access to the resources of UT Southwestern medicine closer to their own home." Dr. Cole is passionate about bringing UT Southwestern's standard of care to patients in North Dallas, Richardson, and Plano. 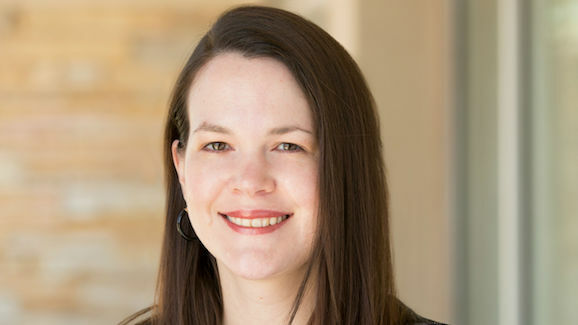 With extensive experience caring for patients with blood and cancer disorders, and a strong background in research, she plans to make cutting-edge clinical trials accessible to more patients in the local community. Our clinic Director, Suzanne Cole, M.D., is a medical oncologist and general hematologist. She has extensive experience caring for patients with blood and cancer disorders, and she has built her career providing compassionate care in a community setting. Dr. Cole is passionate about bringing the UT Southwestern standard of care to patients in North Dallas, Richardson, and Plano. With a strong research background, she also hopes to offer new and cutting-edge clinical trial options to more patients. In addition to Dr. Cole, our team includes a certified oncology-trained nurse practitioner, oncology-certified nursing staff, an oncology-specific social worker who provides care coordination and counseling and therapy sessions, and a dietitian who specializes in working with oncology patients. We work closely with patients to ensure that their needs are met and we are doing everything possible to help them regain their health. The following information will help you prepare for your appointment and expedite your experience. On the day of your appointment, please arrive 10 minutes early to allow time for parking and registration. We do our best to see patients at their scheduled appointment time.